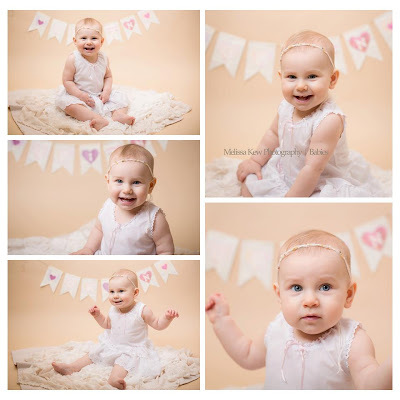 Hayley's Paper Garden: Happy 1st Birthday Quinn! Hope you are all having a fantastic week. This week I have been working on various projects for my Niece's 1st Birthday which is coming up a little later this month. I decided I would share one of the items I have been working on. For this project I used the Colour Combo from The Paper Players. I wanted to create a fun 3D piece for Quinn's bedroom as her mommy is in the process of decorating it for her! Oh this is gorgeous! 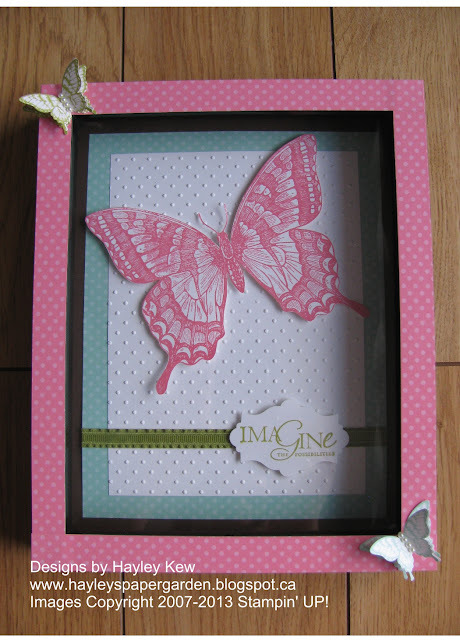 What a perfect use for the large scale swallowtail image...perfect for your niece's bedroom and the sentiment is so inspirational for a little one! 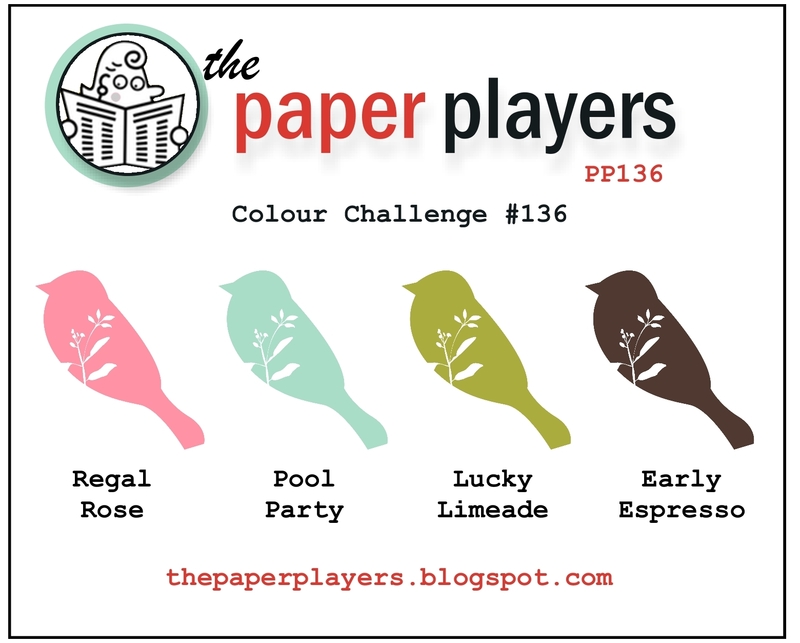 So glad you joined my color challenge at The Paper Players! What a beautiful work of art! 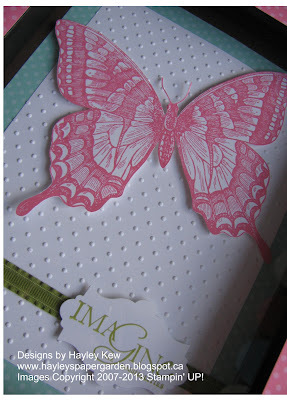 The butterflies on the corners add the perfect extra touch. I'm sure your niece will love it! 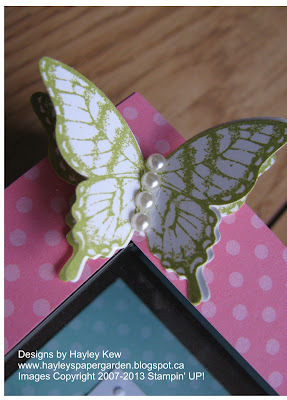 Thanks for sharing your creation with The Paper Players!